The nomination window is now closed for the 2018 election, and voting is now open. This year’s election will select two Board of Directors positions for a term of two years and the Chapter President position for a term of one year. Below are the bios for all nominees. Please review their bios before clicking the link to vote at the bottom of the page. 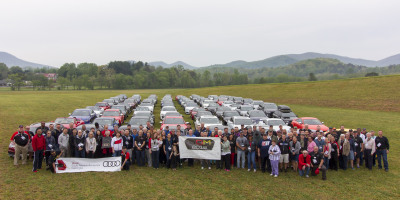 2019 marks the 20th Anniversary of the Audi Club of Georgia and it would be an honor to serve my third term as President for this awesome milestone. My passion for Audi sparked with my first Audi in 1994 and I’ve been an Audi-only driver ever since. 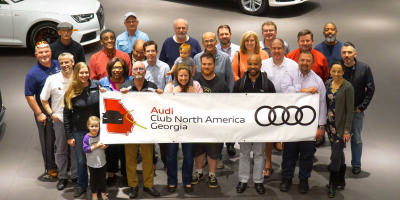 In 2014, I became an Audi Club of Georgia Board Member and my role expanded for 2017 when I was elected President. 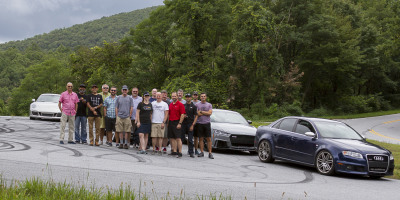 As President, my goal is to help provide our Audi community with activities and events that foster camaraderie and excitement for the four rings. I’m very interested in hearing from club members with feedback and ideas. Please cast your vote for me by electronic ballot between November 19 and December 16. And please, send me your thoughts at [email protected] Don’t be shy! My name is Eric King, and I am running for the Georgia Chapter Board of Directors. I have been involved in Chapter leadership since 2008, serving in various capacities. In 2010, 2011 and 2012, I served as the chapter President, and served as the chapter's Chair Emeritus for the following four years. I have been serving on the board for the past two years. I have served on the QDM planning committee since 2010, and have been the event master on a few occasions. I have also served as event master for several of the chapter's HPDE events at Atlanta Motorsports Park. Additionally, I served on the chapter's National Event planning committee in 2016. I am proud of the growth that our chapter has seen over the years, and look forward to the opportunity of serving the chapter for the next 2 years. Proud to be an all-out Audi geek. First infected by the Audi enthusiast virus in 2003 by way of a 2001 Allroad 2.7T, which stayed with me for 15 years and almost 200,000 miles. Soon after, I became a race fan all over again, making the pilgrimage to Sebring and Petit Le Mans every year since, and once to the 24 Hours of Le Mans. Even though the grand prototypes are gone, seeing a car carrying the four rings around a track at full song rekindles the spirit of the TransAm dominance in the 80’s. Audi performance and engineering will always be something special to me. Every time I drive one on my favorite twisty roads or a track, it’s treat like no other. Philip Monk invited me to join the GA chapter in 2011, and the following month to my first HPDE at Road Atlanta. Life hasn’t been the same since. 7 or 8 Audis later, my current car is a 2017 S3 that brings out a smile every time I get in or out. It’s a privilege to be a part of such a consistently dedicated group, and I hope to bring that level of enthusiasm to the club on a more regular basis that I have in the past, contributing to future events large and small. Click here to cast your vote! You must be an active ACNA member in the Georgia Chapter to vote.